HOUSTON — The Houston Cougars entered Wednesday night as one of the most efficient teams in college basketball. UH knows how to make 3-pointers (43.4 percent through four games), hold onto the ball (seventh lowest turnover percentage in the country per Kenpom.com) and grab 38.5 percent of its offensive rebounding opportunities, which is good for 19th best out of 353 Division I teams. UTRGV flipped Houston’s sparkling numbers on its head in the first half. An active and swarming Vaquero defense forced the Cougars to miss 10 of their first 11 3-point attempts. The Vaqueros outrebounded the Cougars by 10, including 12 offensive rebounds during the first 20 minutes. UH also committed five first-half turnovers compared to UTRGV’s six. With the score tied at 50 and less than a minute to go in regulation, Houston point guard Galen Robinson Jr. nailed a wide open 3-pointer in the right corner with 47 seconds left to put the Cougars ahead to stay. The Cougars finished the night 6 of 23 on 3-pointers, but Houston still downed UTRGV 58-53 at Texas Southern University’s H&PE Arena. UTRGV led 23-21 at the half and spent much of the second half trading baskets with Houston. The Vaqueros and Cougars changed leads 15 times in the final 20 minutes. Jordan Jackson was the team’s top scorer with 12 points, followed by Greg Bowie II and Lesley Varner II who scored eight points each. 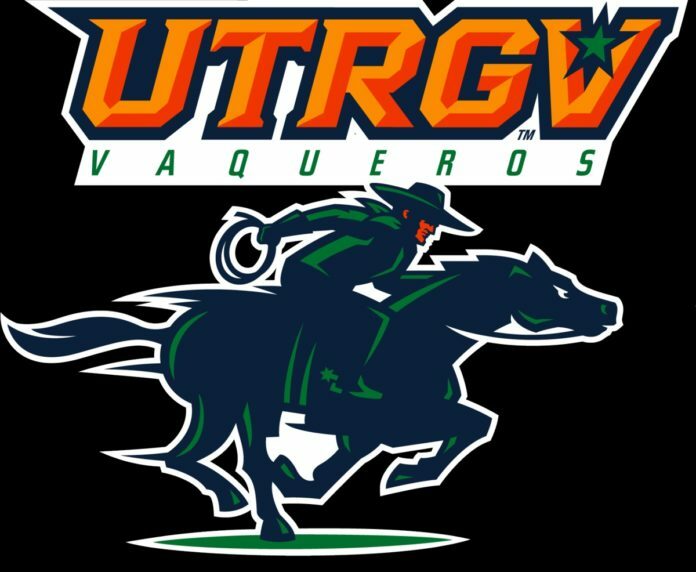 The Vaqueros (5-4) ended the night with a 43-39 edge in the rebounding department, thanks in part to guards Jackson (nine) and Javon Levi (eight) and forwards Varner II (eight) and Terry Winn III (seven). Houston (5-0) extended its home winning streak to 19 games at Texas Southern’s on-campus arena. H&PE Arena served as the Cougars’ home court while the Fertitta Center was renovated. Wednesday was UH’s final game at TSU. The Fertitta Center will be open for business Saturday when the Cougars host the Oregon Ducks. Jackson, a Houston native, won’t soon forget Wednesday’s game either. He added three steals and two blocks to an already impressive statline in front of friends and family.